This recipe makes delicious Gluten Free Chocolate Doughnuts with a perfect Chocolate Glaze! These are baked gluten free doughnuts, so you’ll need a doughnut pan or mini doughnut pan. If you’re looking for fried doughnuts, check out this recipe from my girl Mary Fran of FrannyCakes. This gorgeous Chocolate Ganache Glaze can go on pretty much anything. It’s the adds the perfect finishing touch to these rich, chocolatey doughnuts, and would work well on a cupcakes, cakes, or cheesecakes, too! I’d probably eat a 2×4 with this glaze on it, as long as the lumber was certified Gluten-Free. 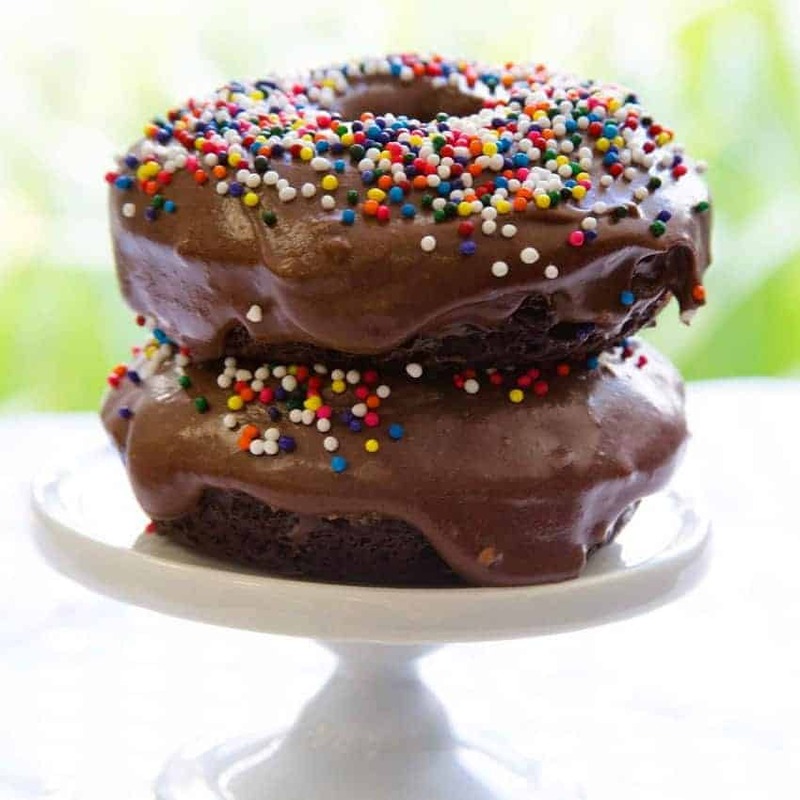 This recipe makes delicious Gluten Free Chocolate Doughnuts with a perfect Chocolate Glaze! Mix chocolate, sugar, vanilla, espresso powder and salt in a bowl. Bring milk and butter to a boil in a 1-qt. saucepan. Pour the hot milk mixture over chocolate. Let sit for 2 minutes without stirring. Whisk until smooth, chill until thick. Spray doughnut pan with a non stick spray and set aside. Add the flour, baking powder and baking soda to the bowl, and mix thoroughly. Then add cocoa and espresso powder, and combine. Add milk mixture to bowl, and scrape down sides. Mix on medium low speed until everything is combined. Mixture will be runny. Using a small ladle or scoop, fill each doughnut mold 2/3 full. Remove donuts from pan to a wire rack and cool completely, then glaze or frost and enjoy! 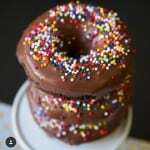 This entry was posted in Baked Goods, Desserts, Recipes and tagged chocolate donuts, chocolate doughnuts, chocolate ganache, chocolate glaze, donuts, doughnuts, G-Free Foodie, gluten free, gluten free doughnuts, kc cornwell. Bookmark the permalink.